JANAJ, THE exciting new Galway band whose music fuses classic rock, prog, and acoustic, mashing them together to create a throughly modern sound, have released their new single 'Badlands'. 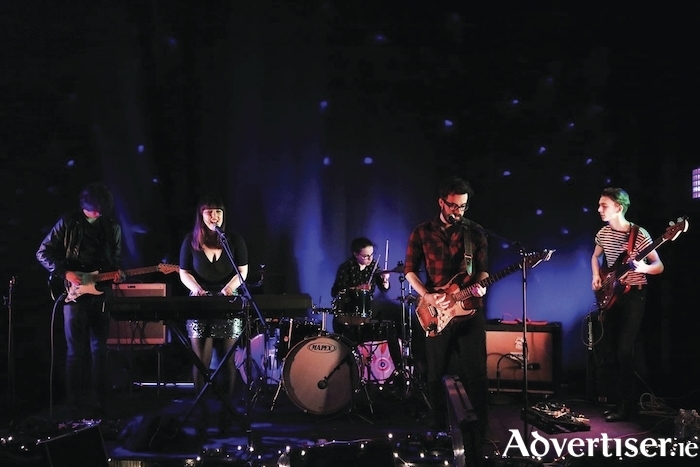 Brooding and dark, and featuring some tasteful guitar work, the single is an impressive statement from the band - John Martin Tierney, Niamh Tierney, Alice O'Donnell, Jack Sinnott, and Charlie McCarthy. An Áit Eile has praised its "loud and lush instrumentation" and "stomping finale". It also noted that "the vocals of Alice O’Donnell are polished...overall it’s a great piece that is worth checking out". JANAJ will play their biggest headline gig to date on Saturday May 19 in Monroe's Live. In 2016 they won the coveted Irish Youth Music Award, which opened up a number of opportunities such as playing for Uachtarán na hÉireann, Michael; D Higgins, national airplay, and the recording and successful release of their debut EP A in April 2017.